Ryan Daly and Chris Franklin chronicle the Caped Crusader's adventures in Batman and Detective Comics in the post-Crisis era. 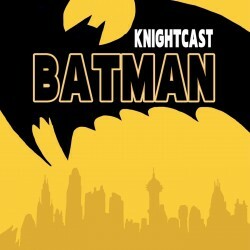 Batman Knightcast is a podcast dedicated to the comic book adventures of Batman and Robin beginning with Batman #400 from 1986. Hosts Ryan Daly and Chris Franklin chronicle the Caped Crusader’s appearances in Batman and Detective Comics, and later on in Legends of the Dark Night, Shadow of the Bat, original graphic novels, and other Bat-comics from the late 1980s and early 1990s.